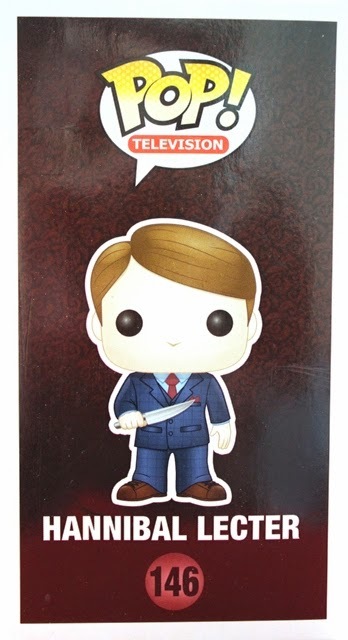 Talking Tiny Toys: Hannibal Lecter (Hannibal) Funko Pop! 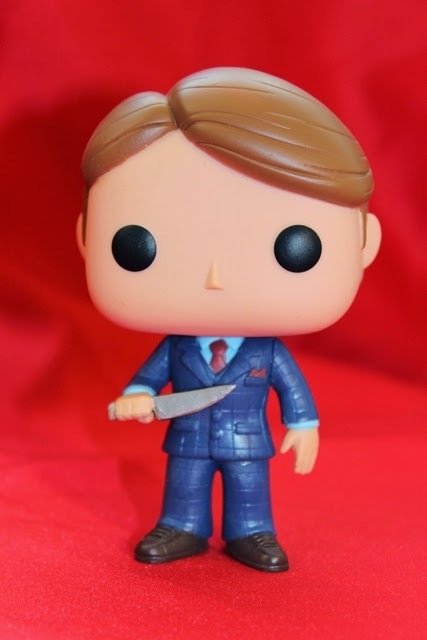 Hannibal Lecter (Hannibal) Funko Pop! My wait is over. 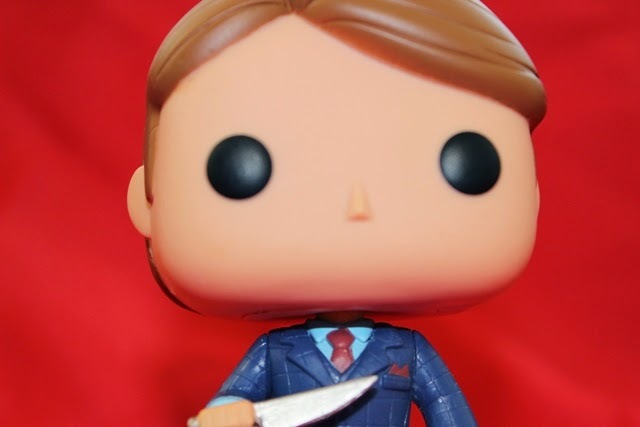 Yes friends, I've managed to find the Hannibal Funko Pops! 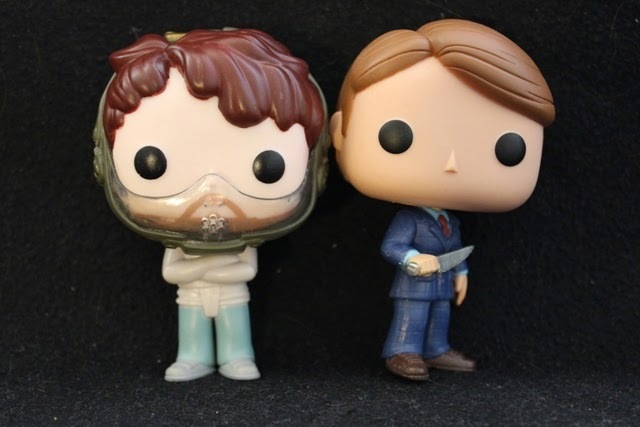 It took me 3 stores and a little digging but Hannibal Lecter and Will Graham are mine. 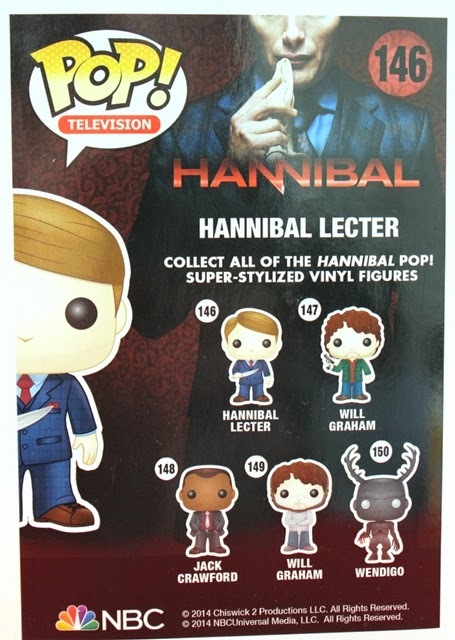 There was only 1 Hannibal left (stashed behind a box. Clearly someone else was hoping I wouldn't find him) and I still haven't seen the Wendigo in the flesh. So were they worth it? 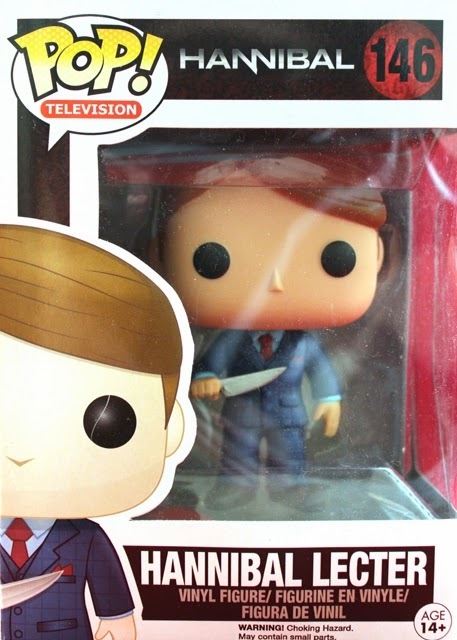 I was skeptical about Hannibal when it premiered. Why mess with a classic? How can anyone compare to Anthony Hopkins? Well, Bryan Fuller and company proved me horribly horribly wrong. Mads Mikkelsen's portrayal of Hannibal Lecter is spectacular, and Hannibal has become my favourite show on Television. Funny how that happens. I could gush about the show for pages but I've got a toy to review! Let's start at the top. 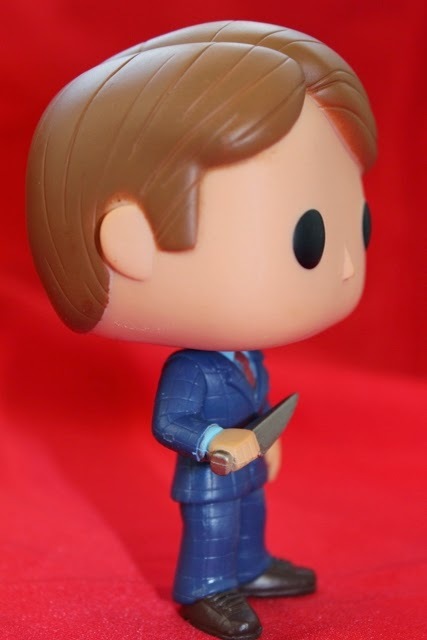 He looks too cute to "Eat the Rude"
While a lot of the pop! lines have extravagant costumes, unique character designs, and fun accessories to work with, Hannibal is fairly limited. 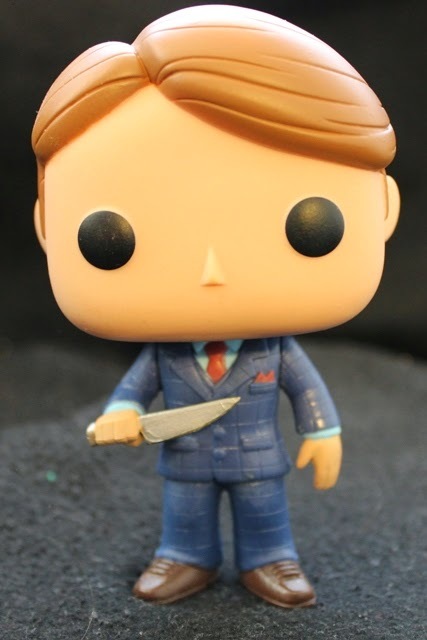 They're just people...and in Hannibal's case, a person with a nice haircut and pretty great suit. His hair is painted a light brown and since Mikkelsen's hair colour seems to change in every light, I think it's an adequate choice. 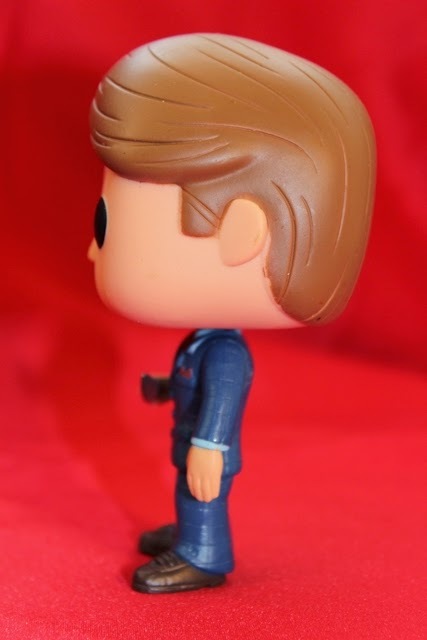 It would have been nice to see a tinge of grey but highlights aren't something Funko hasn't attempted yet. I love the simple detailing. It creates some movement and makes it a little more interesting. He's holding a knife in his right hand, ready to make a tasty snack. It's painted a shiny silver from handle to tip. His shoes are a solid brown. The moulded laces are painted the same colour and lines are etched around the bottom to make it look like the shoes have a soles. Hannibal's suit really makes the figure. 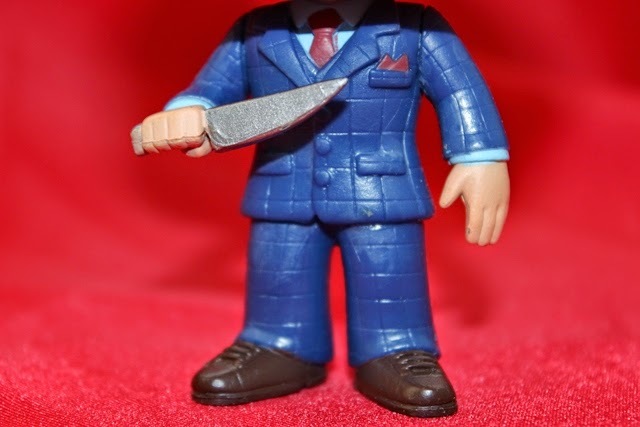 Like in the show, the figure wears a three piece suit complete with tie and pocket square. The purplish red pops against the dark blue and the moulded collar and pockets are fun little details. He's wearing a light blue dress shirt underneath that peeks out at the cuffs. My absolute favourite part is the plaid. 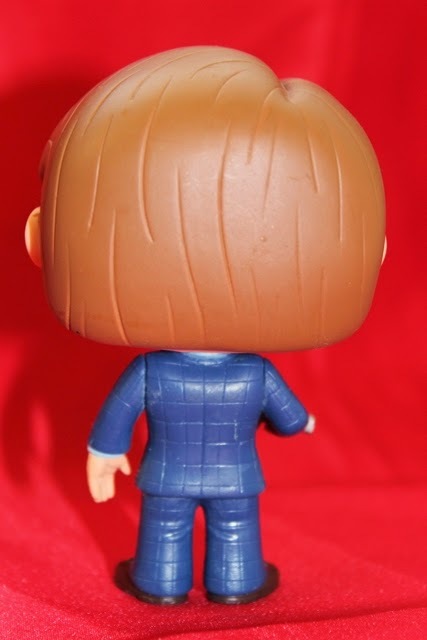 Instead of painting it, which could easily become messy (especially considering Funko's quality control problem which I'll rant about in the Will Graham review) they decided to sculpt the lines directly into the suit. Just look at it! A great way to make a suit interesting. There are a few small paint problems. The blue of the shirt rubbed off on his hand a little and there a few smudges on the back of his head, but nothing major. He's just as put together as Hannibal should be...and way more put together than Will, but we'll get into that later.